Gives longer lasting true color. Enriched with extracts of protein-rich herbs, our new conditioners nourish your hair giving you the three essential benefits that your hair needs – strength, reduced hair fall and protection from everyday damage. Himalaya Herbals Protein Conditioner Colour Protect is a unique herbal formulation that gently conditions, nourishes and protects your color-treated hair, giving it that true color look longer. Our conditioner softens, smoothens and repairs to give you radiant, healthy looking hair. 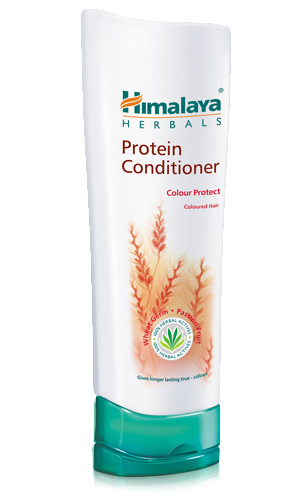 Gently massage Himalaya Herbals Protein Conditioner Colour Protect into wet, shampooed hair, from root to tip. Rinse thoroughly.